Textbook Trading Review - How Good Is This DVD Course? Home DVD Courses	Textbook Trading Review: How Good Is This DVD Course? Textbook Trading Review: How Good Is This DVD Course? The stock market is regarded as one of the most powerful money-making tools today. However, 90% of beginner day traders’ end up failing miserably and only 10% become successful. One of the main reasons why most people fail is lack of a good mentor and a solid trading plan or strategy. So if you want to make sure you’re not one of these individuals that end up losing a lot of money in the stock market, all you need to do is invest in a good day trading course. This way, you can learn the ins and outs of day trading before committing your hard earned cash. One such program that promises to teach you everything you need to know about the markets is the Textbook Trading course. It is an all-in-one day trading course that comes in the form of a DVD and will help you start conquering the markets from the first day. In this article, we take a look at what the program is all about, its features as well as its pros and cons. This chapter discusses Nathan’s trading history including how he started trading, his greatest success stories as well as biggest losses. The main aim is to help you learn all the mistakes he made so you can avoid repeating them yourself. Further, it discusses the strategies he took to be a full-time trader and some tips to help you make the most out of the content in the next chapters. Also referred to as Day Trading 101, this part of the course covers the most basic principles of day trading. It explains the different terminologies of trading that you are going to come across including G/R, SSR, HOD, R/G, and among others. In this chapter, you will learn how to properly read and interpret a stock chart which is one of the greatest secrets of becoming a successful day trader. In addition to this, Nate explains more about supply and demand and its role in day trading. Also, you’ll come across a number of tricks to help you understand how the stock market works. Basically, this chapter covers the course’s most popular trading setup which is the ABCD pattern. Apparently, this specific pattern works for traders of different skill levels. The pattern is designed to help traders make an informed decision when it comes to going long a trade. In most cases, as a trader, you have to anticipate when a certain stock is moving after a setup. 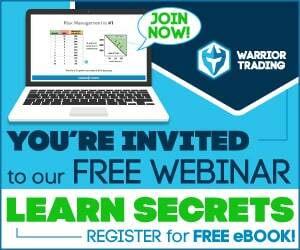 This part of the course reveals nearly everything you must know to start trading the setups. It does this by teaching you how spot red/green trades. This chapter is all about short selling or simply profiting when a stock drops in price. It discusses how you can play safely both sides of the market (long and short), how to short sell profitably and some of the setups to look out for while trading. Apparently, some of the most profitable trading setups usually present themselves early in the morning. During this time, most traders might be tempted to use their emotions and will end up losing a lot of money. Therefore, Nate shares how to manage the “morning emotion” and how to make the most out of your trading opportunities. Although very risky, penny stocks are proven to offer great trading opportunities. As a result, most beginners prefer to trade penny stocks and they end up making big losses. This chapter covers the ins and outs of trading penny stocks (OTC markets) in detail to help you avoid most of the mistakes other traders make when trading. If you are looking to succeed in the trading industry, choosing a good broker is important. Otherwise, you will fail miserably if you choose to go with the first broker you come across on the internet. The right broker will definitely help you maximize your trading strategies with ease. Inside this part of the DVD course, you will find a list of some great brokers to help you carry out your trading strategy. This chapter covers Nate’s daily routine including how he is able to stay successful after many years of trading. You will also learn how to set the right trading goals as well as the best time to enter and exit a trade. Here, Nathan shares all the trading tools he uses every day that has helped him become a successful trader. These tools include news sites, scanners, charting sites, and much more. You will also learn how to properly use the tools on a day to day basis. Who Is Behind The DVD Course? Textbook Trading is an educational DVD course created by Investors Underground (IU). IU, on the other hand, is a highly regarded day trading chat room founded by Nathan Michaud in 2008. 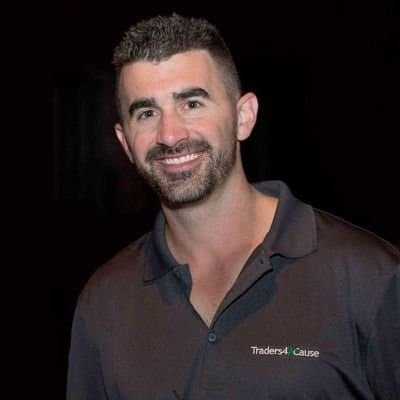 Nathan is a veteran trader with over 10 years of experience trading stocks having started trading in 2003 as part-time. He became a full-time trader after graduating from college in 2007 and within a span of just six months, he was already trading consistently profitably. However, he really lost a lot of money when he was starting out because there was no one to guide him. In this course, he shares every mistake he made so you don’t end up repeating the same mistakes. Apparently, Nate trades nearly everything including small caps, penny stocks, high priced stocks as well as long and short. When it comes to any trading course, learning theory is very important. But it becomes even much better when you see everything you learn in the course applied to real trades. 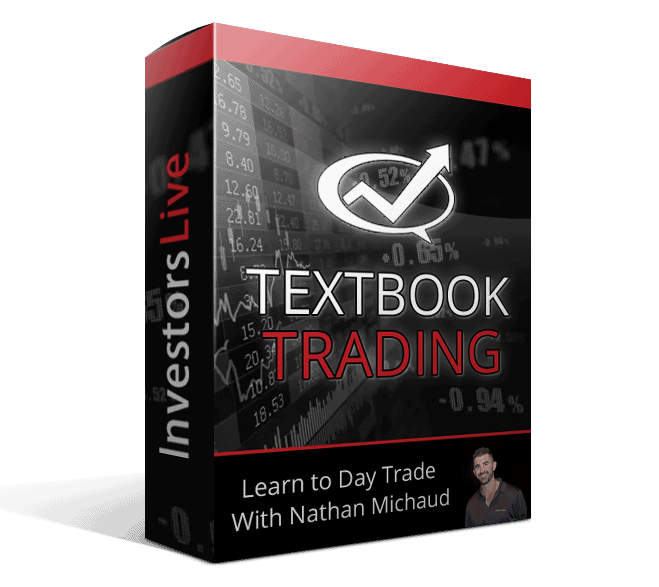 In this DVD course, Nathan shows you real and profitable trades that he has placed having taught you a trading setup. This is designed to help you have the confidence to start taking action in the markets. Most trading courses out there will only provide you with some ambiguous day trading strategies that you might not know how to use them especially if you’re a beginner. 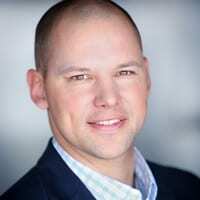 Fortunately, this course focuses on actionable strategies and setups. Therefore, you can begin applying everything you learn in this course immediately. As a day trader, making money is usually everybody’s goal. However, what might work for you may not work for another trader. Consequently, this course contains lots of trading strategies to choose from depending on your needs. You are going to find afternoon trades, long, short selling, small cap trades, morning trades, OTC trades, and much more. Chart patterns are a powerful asset for any trader at any level when it comes to identifying trading signals. They can be used to make both long-term and short-term forecast. While there are so many chart patterns, not all of them work for everybody. This course, therefore, discusses some of the high-probability patterns that can help you create an efficient trading style as well as pinpoint profitable setups. If you are only interested in this DVD course alone, you are going to pay $997 for the DVD and enjoy instant streaming access from anywhere. However, you can choose to enroll in the three-month or one-year membership plans if you want access to more materials and goodies. The 3-month plan costs around $1497. This plan includes the Textbook Trading and Tandem Trader course as well as a three-month access to the Elite Investors Underground member area. There is also a one-year membership plan that only goes for $1997. The plan comes with a one-year subscription to the Elite Investors Underground, the Tandem Trader, and Textbook Trading course. Whether you just want to get started trading or you simply would like to improve your trading skills so you can start conquering the markets, the Textbook Trading is a great DVD course to help you. It is well put together and will definitely give you an edge in day trading. That said, we think it is best suited for open-minded traders who are willing to put in the hours of work to make some awesome accomplishments.